The Group of Eight has become a central actor in global governance with a steadily expanding role and agenda. The leaders' summits remain at the apex of the G8 system, but the leaders' work is complemented by intensifying and expanding networks of ministerial fora as well as various task forces and expert groups. Some of these entities, initially launched by the leaders, have taken on a life of th… eir own with an agenda that diverges from the main concerns of the summits. 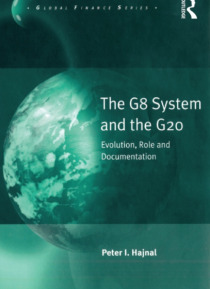 Following on from Hajnal's acclaimed book The G7/G8 System, this volume discusses the origins, characteristics, evolution, role and agenda of the G7 and G8 system, including a systematic survey of its components. It introduces the major debates about the G7 and G8, looks at proposals to reform the G8-G20 and provides a detailed study of the complex, elusive and changing patterns of documentation of the broader G8-G20 system, including electronic information.